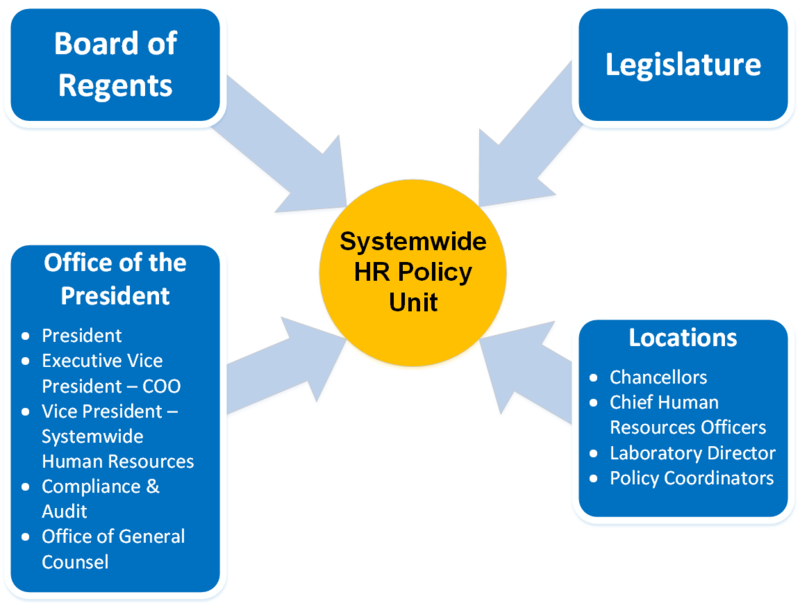 The systemwide HR Policy Unit is responsible for developing and interpreting personnel policies and other employment-related programs, guidelines and procedures for staff employees. We seek to develop systemwide policies and programs that clearly and consistently describe the rights and responsibilities of employees and the university, while supporting the university’s mission of teaching, research and public service. The HR Policy Unit provides managers with tools, resources, and policies that will support the university’s efforts to operate as an excellent employer — attracting and retaining the highest-quality employees. Interpret personnel policies and other employment-related policies, programs, guidelines, and procedures for non-represented staff employees.